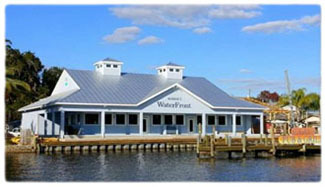 Build a New Home in Old Homosassa Springs Florida - Wheeler Construction Inc.
Homosassa, Florida is actually made up of two communities, Homosassa Springs and “Old Homosassa”. Homosassa Springs is home to the headwaters of the Homosassa River, one of the most beautiful rivers in the area which is teaming with a diversity of wildlife and aquatic creatures. Many Florida Manatee calls Homosassa Springs home. The relatively warm, 72 degree waters attract these gentle mammals during the cool winter months. Homosassa Springs is known the world over as the Manatee Capitol. People flock to the area from all ends of the globe to experience this once in a lifetime opportunity to swim with the manatees. Homosassa Manatee Tours are available daily at the many dive and snorkel shops. Homosassa Springs is also home to the Homosassa Springs Wildlife State Park, a zoo-like enclosure that is home to dozens of Florida native species and even a hippopotamus! Here you find, alligators, panthers, bobcats, black bears, otters, flamingos, bald eagles, rattle snakes, and many more fascinating animals. 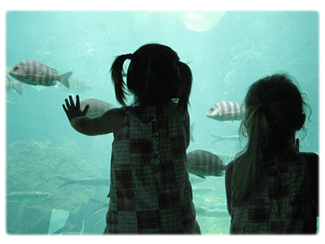 There is even a “fishbowl”, an underwater observatory to view the manatees and thousands of fish that inhabit the Homosassa Springs. Homosassa is a Native American Creek word meaning "place of many pepper plants". 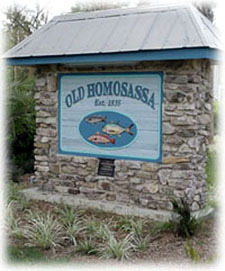 The Homosassa River is considered the lifeblood of Homosassa and no where is this more evident than in “Old Homosassa”. President Grover Cleveland established his "Winter Whitehouse" on the banks of the Homosassa River and today a major street in Homosassa is names after him. Artists like Winslow Homer also visited the area and painted many watercolors of the Homosassa River which are on display at the Homosassa Springs Wildlife State Park. David Levy Yulee owned a sugarmill to process sugarcane during the Civil War and also cultivated a variety of sweet oranges on his plantation on Tiger Island in the Homosassa River. 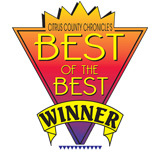 The fruit has been named the Homosassa Orange and is considered a local favorite fruit today. Old Homosassa is steeped in history and is home to many colorful characters. The area is known for some of the most beautiful and unique waterfront homes. 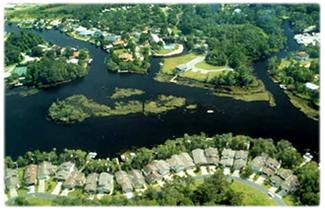 There is still plenty of affordable waterfront land available to build your dream home on the Homosassa River. There are many local bars and seafood restaurants to enjoy as well as local annual festivals including the famous Homosassa Seafood Festival and Shrimpapalooza. If you would like to learn more about this unique and breathtaking waterfront community and inquire about the possibility of building a new home on the Homosassa River, please contact Wheeler Construction today!